Sphere is a unique combination of hardware and software featuring a patent-pending video processing platform for iOS and OSX. 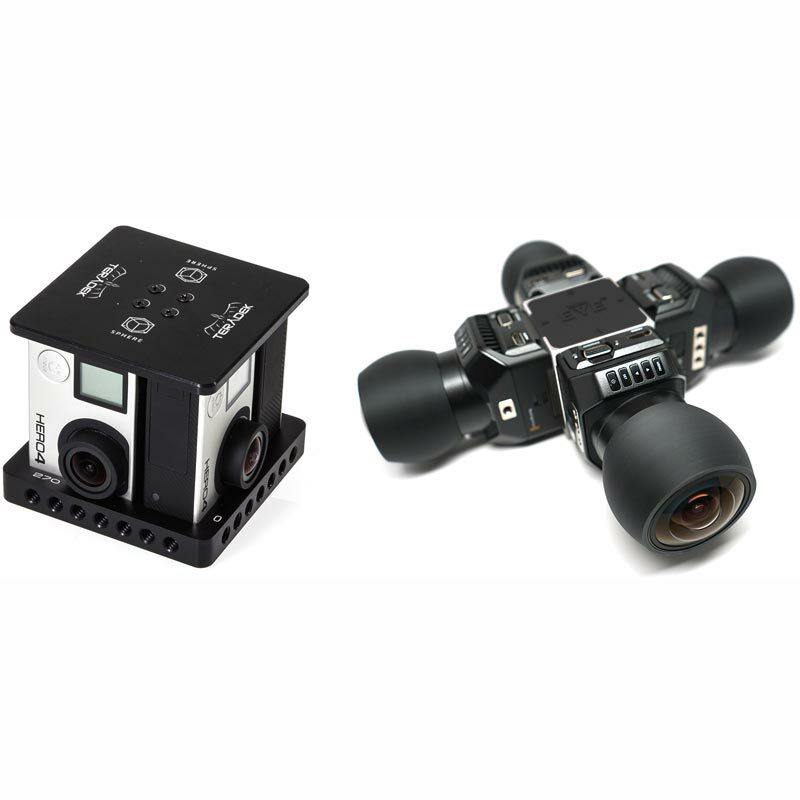 By dynamically adjusting each camera’s white balance, tint, exposure and lens distortion in real-time, Sphere is able to display and stream a consistent panoramic video. For remote viewing, the Sphere app can be used to live stream to any compatible 360º online video platform, including Wowza and YouTube. Monitor your 360º live production on an iPad and stream it directly to the web, all at the same time. Compatible with any HDMI camera, Sphere is the most flexible 360º monitoring and streaming solution for 4-camera VR rigs. 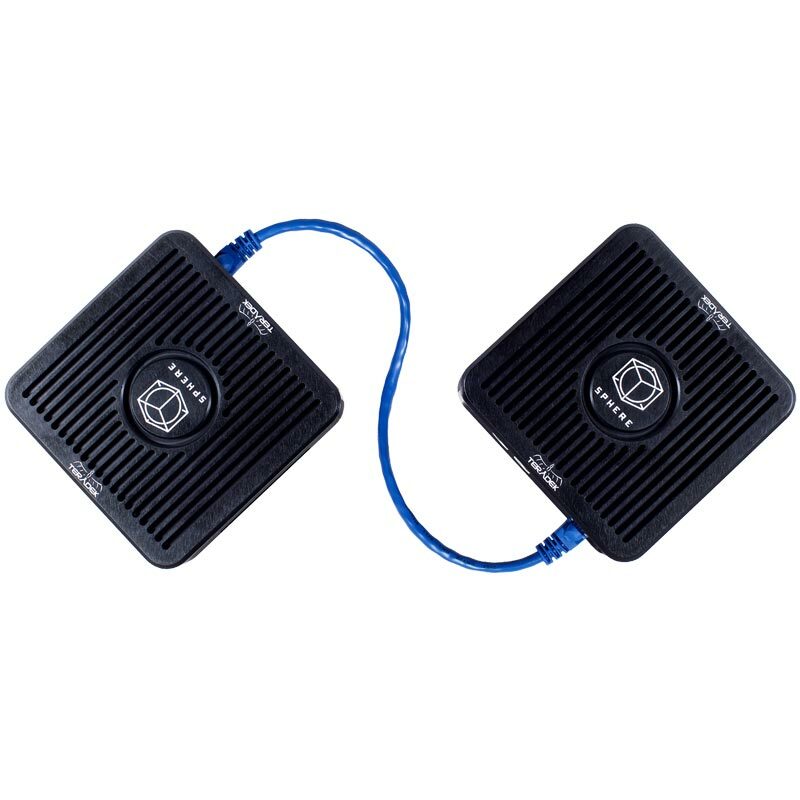 Its 4 USB ports offer an integrated power solution for GoPro rigs and its stereo analog audio input allows you to embed the output of your soundboard right into the live feed. 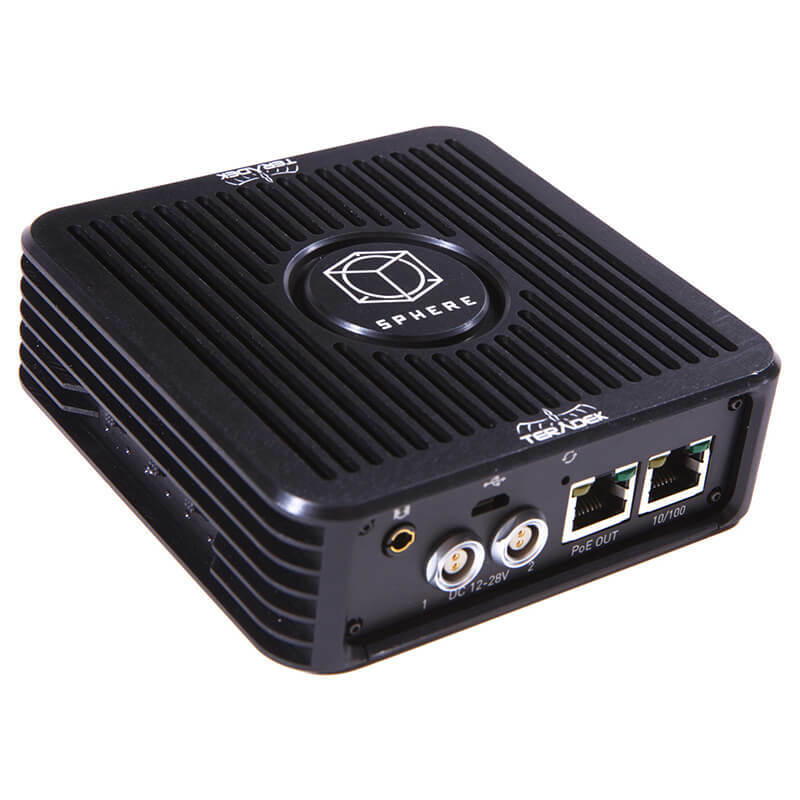 Sphere also includes twin power connectors for redundant power and dual 10/100 Ethernet ports for Internet connectivity and attaching a second Sphere unit. Sphere is unique in that it doesn’t require a PC to stitch panoramic footage into a 360º format. 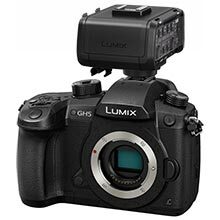 Instead, the stitching engine is iOS based and offers real-time compositing of up to 8 1080p camera feeds, allowing you and your crew to be more mobile than ever before. 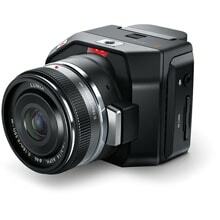 The Sphere iOS application offers numerous parameters for tweaking your 360º footage to your liking. In addition to multiple lens correction options, you can adjust the image rotation and edge alignment of your stitch from the app’s intuitive UI. Users can calibrate each camera’s white balance, tint, and color profile right from the Sphere application. If you need a quick calibration, the application can color match across all video feeds at the same time to provide a balanced image instantly. Sphere connects to wireless access points and the Internet via a 10/100 Ethernet jack. To enhance the wireless range of your Sphere stream, we recommend connecting the device to a Ubiquiti access point for a robust WiFi signal up to several thousand feet. 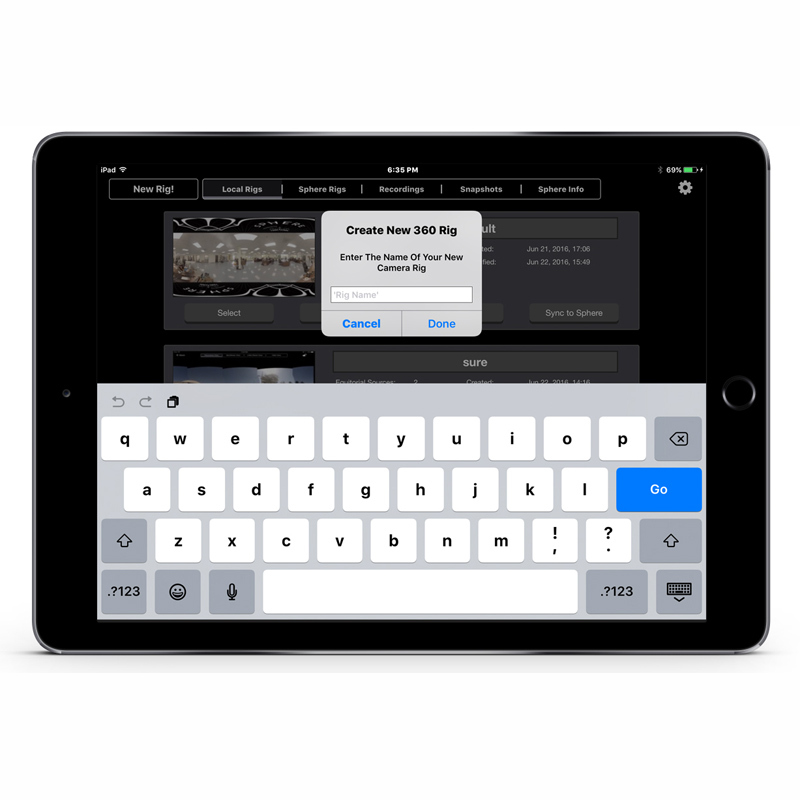 The Sphere iOS application allows you to save individual 360º snapshots and your stitched video footage directly to your iPad’s hard drive in MP4 format. Should you need more than 4 cameras for your 360º production, a second Sphere can be daisy-chained using the device’s 10/100 Ethernet port. This is a beta release. There will be bugs. We do not recommend using this software in a production environment, but do welcome your feedback. Graphics Card: Intel Iris Pro, AMD FirePro, AMD Radeon R9/Pro or better. CPU: Intel Xeon, 2.5GHz quad-core Intel i7 2.5GHz or greater.